We frequently get asked to explain what the various types of drowning detection systems are and how they work. So, to try and help answer – described below are some of the main systems available in the market and their key features. Drowning Detection Systems (DDS) are also referred to as ‘technology driven systems or devices available to help protect swimmers’. These systems are a passive aid which require the Lifeguard to interact with in a pro-active way as part of their 10:20 scan. This system does not include “automatic drowning detection" software. These software driven detection systems all use “computer vision” at the core of their capability. Poolview Plus™ operates in a different way from the other systems as it is an interactive system, designed for the Lifeguards and First Responders and combines architecture, software, algorithms and methods for triggering an alert before activating a full alarm and in many peoples opinion is the most accurate, robust and dependable system available today. Swimmers are monitored via the wristbands which contain sensor and worn at all times in the swimming facility. Sensitive receivers in the pool raises an alarm if a potential drowning is taking place. These are independent and stand alone wearable technology devices – worn by individuals, BlueFox ST1 recognises the depth you are swimming in and measures the time you spending below a certain depth. Once you exceed the preset duration it will release a balloon with a loud siren to the water surface. This noisy alarm will attract the attention of all people within the vicinity. Technology and installation issues have moved forward greatly since the publication of a “Drowning Detection System Briefing Note” by Sport England in 2011 The Leisure Industry is fast accepting that technology not only plays a key role in enhancing swimmer safety, but also supporting flexibility and efficiencies with staffing rotations, swimming pool timetables and systems of work. By embracing technology, there are opportunities to both increase swimmer safety and manage your lifeguarding resource more efficiently and effectively. This will be recognised and reconciled within each pools bespoke Risk Assessment. Operators are generally much more open to incorporating technology within their Standard Operating Procedures and fully understand the benefits. Gone are the physical constraints which once proved to be an obstacle, such as moving floors and bulk heads etc. It is preferable to incorporate some infrastructure into the basic building design at an early stage rather than later when costs can very quickly escalate when “variation orders” are made. Poolview Limited, are recognised as “industry experts” within this field and are in the position to supply the complete range of solutions for any pool, working closely with your management team to ensure seamless integration and support. For more information visit http://www.poolview.co.uk/ or call +44 (0)77 6874 6789. 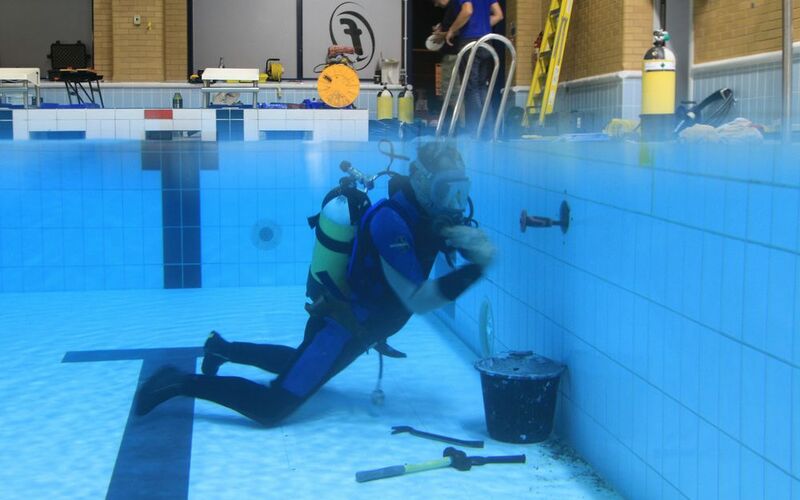 Are you in the process of building a new swimming pool and/or leisure centre? ...pondering whether or not to have a 4 a 6 or even an 8 court main hall? ...how many square metres in gym? ...what about a soft play area? ...how many covers do we need for the café? ...moving floor or not? etc. etc. etc. All of these questions I would suggest will be considered and answers may well be dictated by budget. BUT (and it is a big but), have you considered including provision for Drowning Prevention Technology (DPT) to support your lifeguards? Over the last 8 years when I did manage to speak directly with architects and project managers responsible for overseeing new builds the stock answer has been "we considered drowning prevention technology, but rejected it”. Just like that! End of conversation, no further debate! Now, if I told you that in the last 3 years we have “drilled holes” in shiny new pools who 2, 3, or 5 years ago gave me that answer - would you stop and think? The harsh reality about building a new swimming pool and leisure centre is that it's a minefield, it's like putting together a “perfect meal” that everyone will enjoy, pleasing some of the people all of the time, it's a difficult job I know, I have built and managed a few in my time! You might not believe this, I didn’t write this article to sell or promote Poolview™, SwimEye™, SenTag or Bluefox (well maybe just a little), this is all about protecting your investment, thinking ahead, giving those who follow an opportunity to really look at DPT if you didn’t include it within the initial package. Whether or not you believe in DPT “today” - what about next year or five years down the line? Plan your DPT containment BEFORE it gets to this stage! Does it not make good business sense to at the absolute and very least make provision for the future? It really is such a minuscule part of a new build project to include “containment within the pool” for another day. 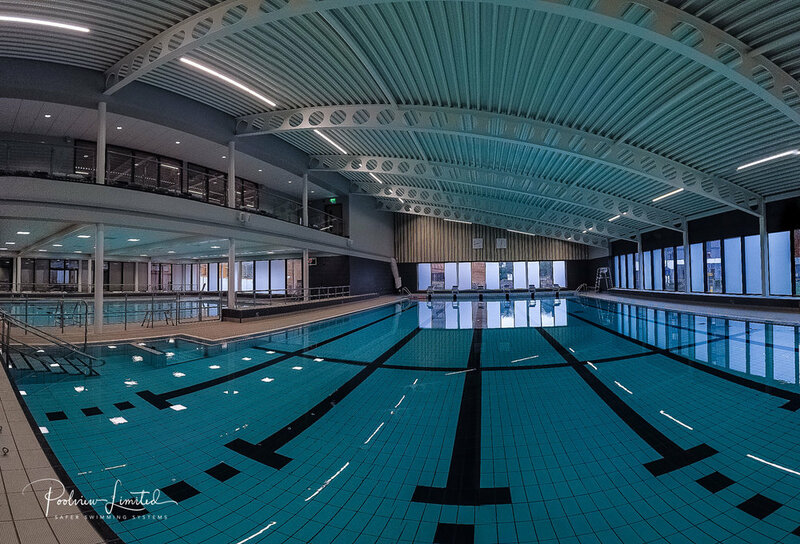 The vast majority of new pools have lights fitted - the vast majority of pools that I visit either don’t use them or they are broken (although LED technology is changing the reliability) - but still, light fittings are there for all to see. So, if you are involved in a new build project, please, please, please, at the very least, cast in eight or so additional blank housings and containment, so that someday, someone in the future could, if they wished, make use of them to add DPT to their pool. 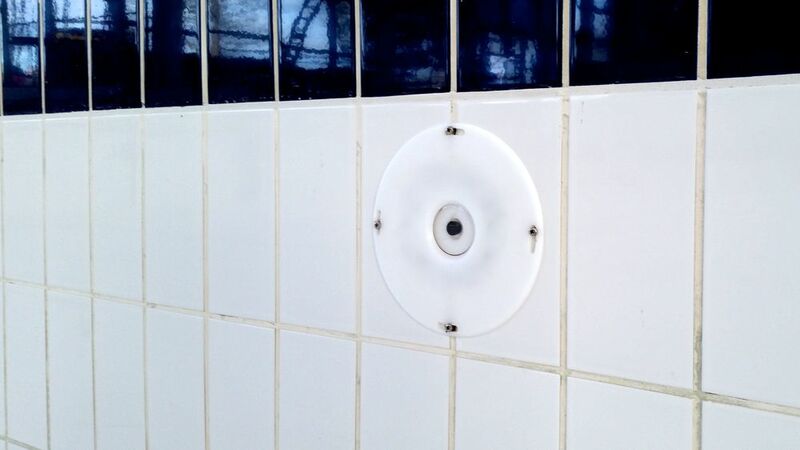 Cameras, hydrophones or whatever is coming at a later date can then be easily installed without someone having to drill a hole through your pool! I have overseen a dozen or so pools that wanted to include DPT, but at the time, the will nor the budget were there. The niches were tiled over and remain un-noticed, waiting for the day when they are needed. Thanks to a few individuals with vision, we have 'popped' a few of these tiles off after a number of years and now installing DPT a little easier than it could have been. I’m always available to offer free no obligation advice - it might just save someone, somewhere, sometime in the future, one less thing to worry about! Poolview - helping to resolve a "glaring" issue! 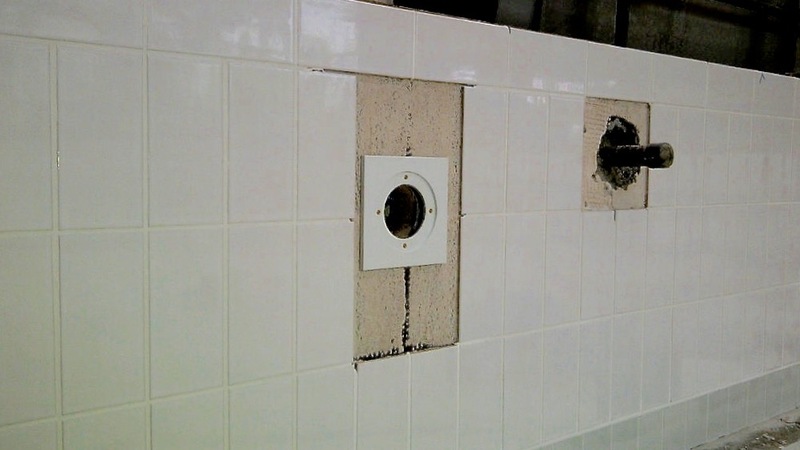 We had a site visit today having a look to see how we can help resolve a troublesome issue with "glare". 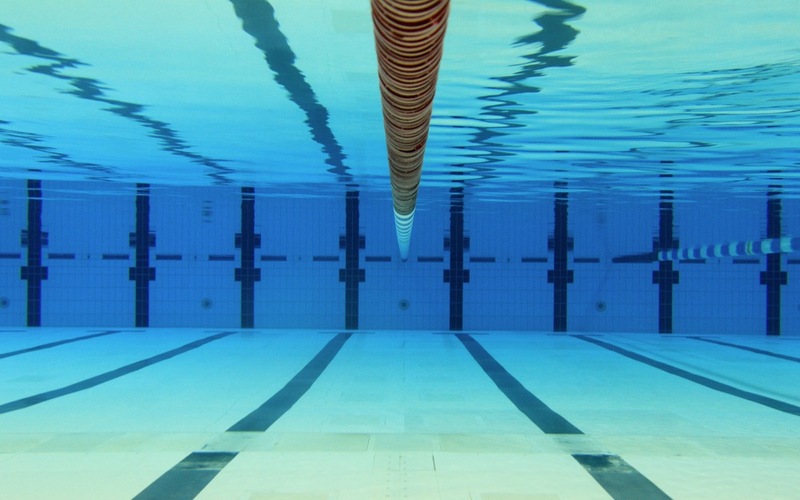 Not an uncommon problem in swimming pools - but one that this Leisure Operator is prepared to address by using our Poolview Safer Swimming System. We started on site tonight the 3rd Poolview installation of the month, alongside our diving partners "Commercial & Specialised Diving Ltd" who are "core drilling" the pool tank - allowing us to install our flush fit camera housings within the two pools with moving floors. Preparing for Poolview core drilling of the tank. All our work is carried out when the facility is closed, no disruption to your activity programme, no need to drain your pool ! Always better to get us involved at a very early stage in a new-build programme - in that way we can cast the camera niches into the pool tank walls during this critical phase. Makes for a perfect finish and moving floors just slide on past! Poolview Safer Swimming Systems - providing "Additional Essential Vision to Lifeguards"
We were on site today at one of the NINE new build projects on which we are currently specified to install our Poolview Safer Swimmer System. Early days yet on this one, but great to see the steel work up. Next time we are back, the building will be wind and weather proofed and the pool will be tiled ready for our cameras. We cannot emphasise enough how important it is to get us involved "BEFORE" the tank is cast! The more new-build projects on the way. On site this week checking on building progress at Derby County Football Club. Our Poolview System on this occassion will be used to monitor players movements and progress as they rehabilitate. Still a couple of months to go before this pool gets to see water again! It does not stop us getting on site to finalise the specification and agree the new lifeguard positions to be enhanced with a new Poolview Safer Swimming System. Good to see the RLSS encouraging dialogue between operators, designers and architects. In our experience this is absolutely key to delivering not only safer swimming pools, but a facility that can be managed effectively on a more cost efficient basis.